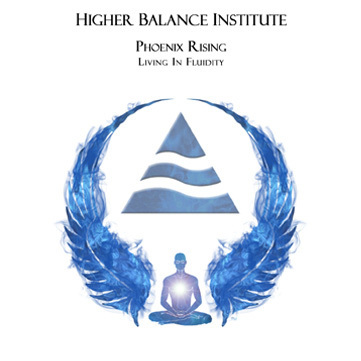 "Phoenix Rising - Living In Fluidity"
Please note : You MUST own all the previous Higher Balance Core modules before the one you are ordering. For example, prior to ordering Core III, you must own the Core I : Awakening Dimensional Consciousness Guided Meditation System as well as Core II : The Secret Key. If you order a Core you aren’t ready for your order will not be shipped out, or downloaded, and your payment will be refunded. 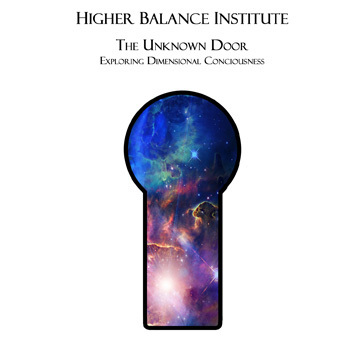 If you've already experienced the power of the Higher Balance Institute's Core I foundational education and spiritual development meditation system, the Awakening Dimensional Consciousness Guided Meditation System it's time to move beyond the simple awareness of the profound to engage and activate the sixth sense to ever greater levels. Higher Balance's Core III - Phoenix Rising expansion modules will lead you even further down the path and provide a far greater level of enhanced awareness. The legend of the Phoenix is well known. The mythical bird returns to the place of its origin to die, only to rise again from its ashes, resurrected, stronger than before. As you engage yourself in Core III - Phoenix Rising, like the great Phoenix, you will discover that sometimes what feels like death, is not death at all but rather a rebirth, forged anew, stronger than before. 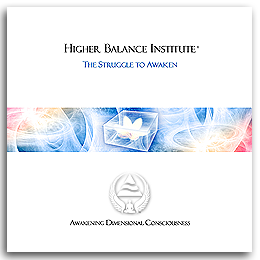 The Higher Balance Core III spiritual awakening modules will introduce you to the awesome Power of Surrender, showing and enabling you to peel away the layers of identity that have thus far prevented you from experiencing higher levels of awareness and a far greater depth of understanding than most can conceive. The art of Surrender takes many forms and it's transformational power becomes immediately evident when you choose to engage it. Surrender is a letting-go, a will to release parts within yourself that hold and bind you in place. The 7 individual modules that make up Higher Balance Core III - Phoenix Rising will re-illuminate and further enhance your understanding of everything that you have learned so far in Core I - The Awakening Dimensional Consciousness Guided Meditation System as well as Core II - The Secret Key and will set the stage for even grander and more profound heights to come! Even as far as you've come...although you may be thinking that it's not possible to experience anything greater than you already have, Core III - Phoenix Rising will take you to ever greater heights. The Phoenix also highlights the cycles of life, death and rebirth, and the fluidic state of mind necessary to effectively harmonize and stand in both worlds. Like the classic eastern saying, bend like a reed in the wind, you begin to master being in fluidic thought. Your mind, all your being, must begin to move like water. Solid, yet at the same time translucent. Soft, yet strong. It is the ability to be in this world now, yet maintain another part of understanding, a greatly enhanced awareness of while at the same time "being in" the spiritual. You will learn how and why seasonal shifts affect you and your psyche as well as how you can work with them to maximize your spiritual awareness and development throughout the entire year. The Higher Balance Core III modules guide you through ever increasing heights of awareness that is quite literally impossible to convey with human words. You'll continue in the process of awakening to a much greater degree and begin to fully understand the struggle, and eventual triumph that takes place. Such work can be demanding yet is ultimately freeing. To accelerate that process you are given techniques for deep healing, at both a mental and physical level. Finally, you will learn beginning techniques on how to literally shift time and be introduced to the incredibly empowering world beyond the veil of this immediate reality. The place where all of your work thus far has and is leading you towards. Welcome seeker to Core III - Phoenix Rising - Living In Fluidity. Join us as we progress toward greater depths of understanding, dramatically enhanced levels of awareness and a form of spiritual development that few are aware is theirs to experience and "perceive" to be unreachable. 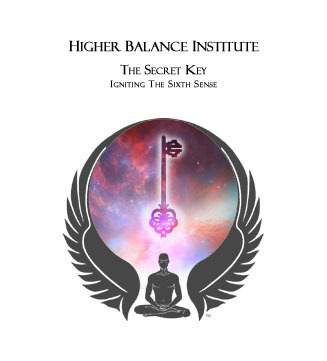 The Higher Balance Institute's Core III - Phoenix Rising modules will show you just how close and attainable the indescribable is and enable you to personally experience the sense of security, wholeness and completion that is only a choice away. Peering past the matrix of reality that does not exist! Higher Balance Institute founder, Eric Pepin explains his struggle to make students understand things and perhaps reach a level of enlightenment. Unveiled will provide you with a depth of understanding that few attain. Mankind and the progression of consciousness. Movies as the consciousness of the planet. Reality vs. Freedom, Truth vs. Destruction. Utilizing a bouncing ball example, Eric clearly answers the question..."Could a super computer calculate where the ball will end up?" How the Future is predicted and how it actually is done. Dreams: a collective consciousness? A virtual world: "Matrix"
Eric also indulges in speculative philosophy: Is man's reality the thoughts of God as our dreams are the Virtual Reality for us? The reality of dreams and comparison of dreams and reality. Awareness being the only true consciousness. Trying to be aware and not automated. Mind can hold reality by concentrating on something. Need to build consciousness. Need of a teacher - the pillar. Sleepers and who can and can't awaken. Need to change the direction of one's consciousness. Enduring the 'doe'. Eric's ideas of his own consciousness and effects. Building circumstances to maintain consciousness. Talks about a student who worked hard and experienced, but fell asleep again. This material is a key component in the enlightenment cycle. "In order to change reality you must first understand its true function." Unveiled will reveal an uncommon depth of understanding regarding how everything in the Universe unfolds. Building circumstances to maintain consciousness. The overall focus of 'Unveiled' centers on the discovery, exploration and acknowledgement of a "perceived as real" yet False Reality (The Matrix) versus what is "truly" real. It emphasizes the need to expand awareness as well as maintain a level of consciousness enabling you to see past falseness and not be consumed by the larger collective of thought. (collective consciousness) By maintaining independent critical thinking skills and choosing individualism you begin to evolve and allow yourself to elevate to a higher state of being and expanded awareness. The ideas that Higher Balance founder Eric Pepin talks about in 'Unveiled' are brought up from his perspective or what it is like to see through his eyes. He attempts to capture his thoughts or reflections and share them with the listener. This material is a profound revelation of thought to the experiencer! 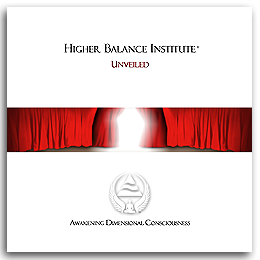 *Classic Series: Unveiled is a release from the Classic Higher Balance Series. This series is a compilation of audio material created by Higher Balance founder, Eric Pepin over the last 15 years during Higher Balance's development. The audio quality of the Classic Series 'Unveiled' has been digitally re-mastered from the original analog recordings. Do you ever feel that there are obstacles or energies in your way, preventing or limiting your personal development and/or spiritual growth? Have you ever wondered why at times it seems that you make tremendous leaps and bounds only to later feel helpless and frustrated? Do you believe that these "less than productive" periods are your fault or do you understand that there just may be forces at work directly influencing your success as well as your personal and spiritual growth? The insight and wisdom shared in Unbound will enable you to find out what these forces are, how they are affecting you, and even more importantly discover how to effectively and consistently counteract them! 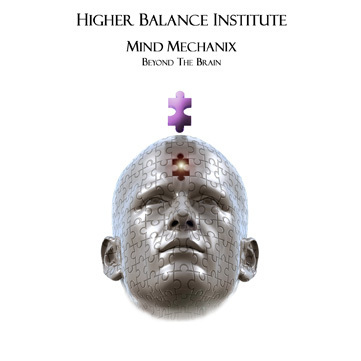 In this module Higher Balance founder, Eric Pepin will expose these hidden forces that directly suppress and manipulate individuals which are directly responsible for contributing to depression, anxiety, insomnia, spiritual barriers, blocking personal success and much more. Unbound is an extremely inspiring and liberating course. It will demonstrate how intricate and elaborate the planet's consciousness is as it affects you and others on a daily basis. You will discover little known secrets and techniques to effectively enhance the quality of your life and equally as important empower others to do the same. Unbound is a must have tool for both teachers and students alike who have chosen the path of self liberation and spiritual awakening. Far too many journey through their entire lives unaware that there are externals of an "unseen nature" that can and unless recognized and eliminated, will slow their evolution toward awakening and enlightenment. Before you can remove the chains that bind you, it's first necessary to understand and realize they are there! Unbound will show you in a very clear and digestible way just how bound you've been without even being consciously aware and expose the many blocks and barriers that have held you from becoming all that you are entitled to and were intended to become. Prepare to be blown away. Unbound will clear the pathway and open doors to experiencing exponential growth enhancing your understanding to heights that few are fortunate enough and willing to grasp. 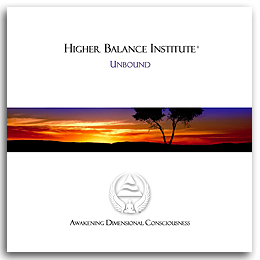 *Classic Series: Unbound is a release from the Higher Balance Institutes Classic Series. 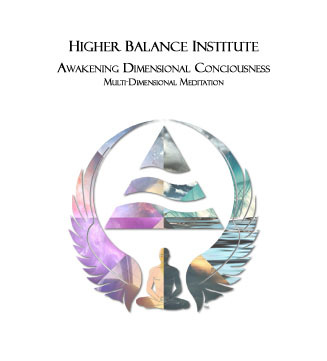 This series is a compilation of audio material created by Higher Balance founder, Eric Pepin over the last 15 years during Higher Balance's development. The audio quality of the Classic Series of Unbound has been digitally re-mastered from the original analog recordings. Surrender is perhaps the most powerful tool ever to be understood or reflected upon by mankind and yet at the same time the most highly overlooked. According to Higher Balance founder, Eric Pepin, if you are properly able to conceive and comprehend this information, it will directly open the doorways to God, aka: Source, the Universe etc. and if grasped and truly internalized, it has the power to make you enlightened instantaneously! When applied correctly The Power of Surrender can change and alter reality the same way the masters of past had the ability to instantaneously and profoundly remove any and all barriers in your life, to obliterate the darkness of evil and to exceed life and death itself. Surrender takes no direct notice; it is profoundly humble and is integral to the most powerful changing force in the universe! 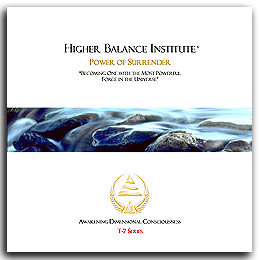 With Higher Balance's Power of Surrender module, you can learn to experience and direct this energy if you choose based on what you'll discover and understand from this four CD set. Make no mistake about the name of this course. It is quite literally the alpha and omega! Many can personally attest to the power of the knowledge contained in The Power of Surrender. It has the ability to cure any and all diseases, illnesses, poverty, arrogance and suffering of all types. Profound would be a huge understatement to this when it truly is understood. Many who are truly seeking to ultimately awaken their full potential, often times during the search will experience feeling tired, frustrated and grow anxious as they wait for their efforts to finally bear fruit. When this fruit does not appear as soon or in the way that they "perceive" and believe that it should, the experience can and often does lead to disappointment. As the Struggle to Awaken clearly reveals, sometimes progress can be too subtle to outwardly recognize. You are not the only one experiencing this struggle. There are many who have spent years practicing with no significant progress. With The Struggle To Awaken, all that is about to change. The first part in moving beyond these up's and down's lies in realizing that you are caught in a trap, much like being stuck in quicksand, and the harder you furiously struggle and resist, the faster you sink. But what if, in the beginning, you were able to easily recognize this quicksand or understand how its deadly grasp is created? If you were to become keenly aware and possessed the knowledge, you would know what to avoid and/or precisely which steps to take to finally free yourself before becoming disappointed, overwhelmed or panic stricken! In the 'Struggle To Awaken expansion module, Eric Pepin provides immense and crucial insight into the struggles you will encounter during your process of awakening. He reveals a wide array of these areas using explanations that will give you much needed foresight of these struggles as well as how to bypass them. Insight will also be given into hidden subtleties that even long-time seekers spend years trying to move beyond. These insights have allowed them to finally grasp the key that they have been so desperately looking for. Eric will lead you from the falsely perceived shroud of pre-written fate to the horizon of a far grander perspective. A perspective that if chosen will enable you to transcend the many blocks and barriers that you have allowed to hold you back. He takes you from the fear and struggle of sinking in quicksand and shows you how to set yourself free from it, and rise to a whole new level of being. 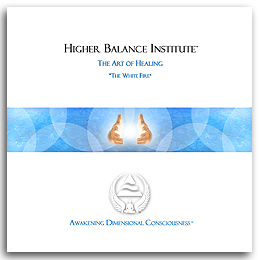 *Classic Series: The Struggle to Awaken is a release from the Higher Balance Classic Series. 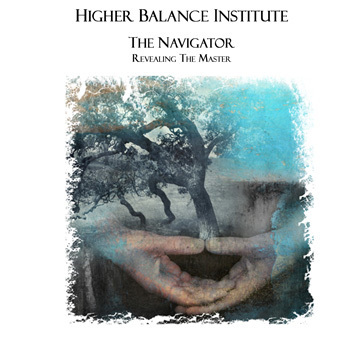 This series is a compilation of audio material created by Higher Balance founder, Eric Pepin over the last 15 years during Higher Balance's development. The audio quality of the Classic Series has been digitally re-mastered from the original analog recordings. If you have ever felt a connection towards magical forests beaming with streams of golden light or the mystical presence of ancient civilizations then Dreamscape Fantasy is the Dreamscape for you. Unleash this magical dream and begin exploring a fantasy filled world filled with amazing creatures and romantic visions as Dreamscape Fantasy provides the means to travel there. Fantasy has within it dark undertones that are designed to pull deeper emotional issues to the surface with positive experiences to reinforce healing. The Higher Balance Dreamscape Fantasy series is designed to empower and assist the release of difficult issues and should not be used for pure entertainment purposes. ‘Fantasy’ should also only be applied by those with previous dreamscape experience. ‘Fantasy’ is the second level Dreamscape and will leave you in a powerful, positive state of mind while resolving inner issues in a unique, powerfully effective and very special way. 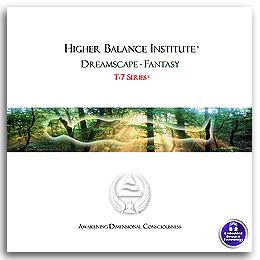 Dreamscape Fantasy should not be used more than 3 times per week or unless otherwise recommended by the Higher Balance Institute support staff. Dreamscape ‘Fantasy’ includes a newly developed embedded binaural technology that specifically compliments this Dream-canvas yielding remarkable results. "The White Fire" provides unique and profoundly powerful insight, direction and understanding for reprogramming energy fields and cellular structure. In this powerful course, Higher Balance founder, Eric Pepin gives detailed explanations of psychic healing based upon his techniques of energy projection and reprogramming cellular structure. As most understand, every organ of your physical body is built with cells. Cells are the major contributor to our physical bodies' make up; bone structure, nerve endings, organs and glands. Cells follow a specific blue print of expectation (or rules) regulated by your DNA. Disease, aging, infection and immunity depletion all begin on a cellular level whether it is a digressing process or as the result of a direct attack of viruses and diseases. Eric will teach you that there is a method of communicating to our inner universe, at a cellular level and by learning this language you will be able to reset or write the programs that your cells respond to. While explaining the do's and don'ts of other various healing methods and modalities such as projected love, prayer, light therapy, healing crystals and chanting, Eric selects and teaches a very cutting edge approach that yields remarkable results. White Fire will teach you the most powerful method of psychic healing known. ...How to get real results and provide a step by step technique to apply his method. This material is currently in use by a variety of healing practitioners as a stand alone method or to powerfully enhance current methods and practices. About 26 years ago, as a young boy, I stood in front of two elderly people in their home. As my aunt watched, my father knelt down and looked into my eyes. He said, "Eric, these people are very sick and I think you can help them. Don't be afraid, I just want you to hold their hands and imagine them getting better, ok?" I nodded and took a closer look at the two people. There was a tall, slender elderly man and I recall he had a warm, compassionate face. His left hand seemed to be held up to his stomach and it was curled in a semi-fist. I learned much later that it was the result of a previous stroke. His wife was lying on the couch. She had been bed-ridden due to a debilitating disease and was pushed up by several pillows into a sitting position. I noticed that her face was also warm and compassionate. My father encouraged me to reach out and touch the hand of the man. Hesitantly, I took his hand and held it for several minutes. The man began to repeat softly, "sweet Jesus, sweet Jesus" but nothing happened. I sat there trying to take in this surreal moment. My father then whispered in my ear bringing me back and said, "Eric, go to your place. See what you want to happen". So I did. I surrendered myself to a peaceful place; no thought, no want, no spoken desire, just intent with an expectation that this man would be happy and healthy. It began; the familiar heat welling up. It didn't burn but it was a heat of some type. I always thought of it as the "White Fire". It slowly consumed me. I could feel it building deep within my lower body then moving up through my arms and into his. "Sweet Jesus!" he shouted. And his hand began to slowly open and his arm began to jerk around. Again he shouted loudly; "Sweet Jesus!" The stomping of his feet began to echo through my mind bringing me back from my place, to the here and now. I let go of his hand and suddenly realized his shining face was zoomed right next to mine. Charged with multi-layered static energy his voice suddenly boomed with new life and he said, "You are a gift from God and you, son, are going to do wondrous things in this world." My father enthusiastically embraced me, kissing the top of my head. I felt I had done something good. I looked over to his wife lying on the couch and, in her joy, all I felt was pity. There were tears running down her face as she gently laughed and softly smiled. Her eyes called out to me. Gently releasing my father's embrace, I walked over, thinking to myself, "She deserves better and I'm going to make it so". She opened her arms to me and unexpectedly pulled me in for a good hug. I remember her smell, it saturated her knitted sweater. I didn't care. I surrendered to her loving embrace and it sent me to my place. The White Fire began and ignited to a powerful roar within me and I set her ablaze with all my heart. My aunt told me that at that moment, the room was filled with a transparent flash of light and for a moment everyone felt a tingling sensation. For me, there was a moment of love and suddenly her arms sprang open as she gasped for air! I stumbled backwards. Except for the quiet murmurs of, "sweet Jesus, sweet Jesus", then there was complete silence. We watched with anticipation as the elderly woman looked at her legs. She slowly pulled her right leg out and then the left, to touch the floor. As she looked up at us, she seemed to giggle to herself like a child discovering a new thing. She pushed herself up. "Ma!" the man shouted moving towards her as if to prevent her from falling. She raised her hand and steadied him off. Balancing herself, she slowly began to walk and quickly was turning from left to right. I began to hear the sounds of sobbing all around. I knew it was time for me to rest. I have had many experiences in my life regarding healing and I am asked from time to time why I do not heal others now. My answer is always the same, "What are you talking about, do you think healing only happens to the flesh?" I've spent many years studying the art of healing and have had many revelations as to how I've healed others. I am prepared to share them all with you. 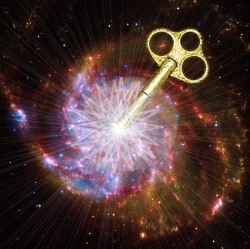 As you already have learned from The Awakening Dimensional Consciousness Foundation Set, collect this energy and through this technique the possibilities are endless. Also, White Fire is used as a spiritual fuel for many paranormal abilities. Enough said. Please help support our cause by purchasing Higher Balance material. The personal rewards FAR outweigh the cost to acquire them. *Classic Series: Whitefire is a release from the Higher Balance Classic Series. 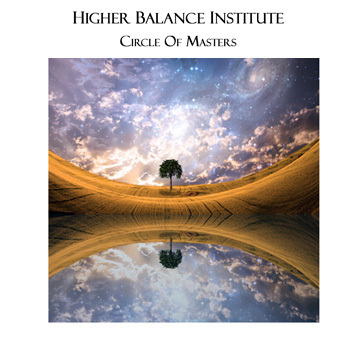 This series is a compilation of audio material created by Higher Balance founder Eric Pepin over the last 15 years during Higher Balance's development. The audio quality of the Classic Series of Whitefire has been digitally re-mastered from the original analog recordings. All seekers wrestle from time to time with procrastination. Yet as you'll discover in 'Time Stepping', it’s nothing more than a powerful gearing in the physical machine that you call your body which keeps you consistently submissive to the matrix. The planet has an agenda and it relentlessly forces it on you to secure its own survival. How fiercely are you fighting for your survival? Your time here is far from limitless and your spiritual survival is very much at stake. In this module Higher Balance founder Eric Pepin confronts his students with an unusual dilemma, the possibility of Time Travel. This question will enhance and perhaps even glitch your perceptions and when taken far enough shift the matrix itself. Have you ever thought about the possibility of Time Travel? How could or would one go about it without messing up the current timeline? Are you ready now to move forward and meet your future self? In this module Eric offers up a deep discussion on Time Travel, its plausibility, and what it means to the spiritually minded who are well on the road to awakening. Have you ever felt like past events are dead weight on the potential you know is yours? What if there was a way to go back in time to affect your past self? Eric discusses outrageous but effective techniques for doing just that. Whether you currently realize or understand it, your future is being written right Now! Your actions today have tremendous repercussions on your spiritual future and directly impact the evolution of your spiritual and personal growth. Take control of your destiny; be mindful of the opposing forces and use the tools that Eric will put at your disposal to overcome them and be of even greater use to the Force. Both you and the planet needs this information. Copyright © 2009 - 2014, The Higher Balance Core III : Phoenix Rising article and all content throughout Abundance-and-Happiness.com is strictly prohibited from copy or reproduction in any form, in whole or in part without the express written consent of the author and or Enlightened Journey Enterprises. All Rights Reserved Worldwide. Each of the resources recommended in the Higher Balance Core III : Phoenix Rising article and throughout Abundance-and-Happiness.com are specifically designed for advanced spiritual awakening and have been personally tested and approved by the founder as a credible and effective means of accomplishing it's intended purpose. Any and all guarantees are handled through the company that provides the resource.